Maine’s varied geography, gorgeous summer weather and open, undeveloped spaces make the state a prefect backdrop for summer camp. If you’re considering a residential –sleep-over – or day camp for your child, explore the many options that Maine has to offer. It’s a great way to keep your kids busy this summer. Maine is known for its rugged beauty, and for good reason. The state is divided into eight regions, each with its own distinct characteristics — and summer camps reflect these regional features. Determine the activities that most pique your child’s interest – from rock climbing to sea kayaking, hiking to sailing – and choose a summer camp in the appropriate region. At Maine’s southern tip, the picturesque Maine Beaches region contains 30 miles of white sand beaches. Camps in this coastal region focus on waterfront activities, like sea kayaking, sailing and other water sports. The Maine Lakes and Mountains region boasts wild mountain ranges and rivers that flow from the glacial peaks above. Camps here offer a range of recreational activities, from rock climbing to canoeing and bird-watching and, of course, swimming in the region’s hundreds of clear lakes. To the east, the Greater Portland and Casco Bay region is known as an arts and cultural center. The vibrant metropolitan city of Portland contrasts with the calm beauty of Casco Bay and surrounding state parks. Camps here take advantage of proximity to Portland’s artistic community, often specializing in visual or performing arts. Very talented campers who show promise during sessions are encouraged to seek acting classes for kids. Maine’s Mid-Coast is dotted by fishing villages, college towns and resorts. Camps in this region capitalize on its long peninsulas, rocky islands, lakes and pine forests by offering water sports like sailing, sculling and swimming, as well as land-based activities, like blueberry picking and star gazing. To the west, the Kennebec and Moose River Valleys offers a rugged mix of rolling hills, rushing rivers and towns steeped in Maine history, like the state capitol at Augusta. Camps in this region offer whitewater rafting at the Forks, hiking, rock climbing and mountain biking, as well as water skiing, equestrianism and lacrosse. Just north of the valleys, the Maine Highlands region is home to both Maine’s highest mountain and the state’s biggest lake. With miles of pristine forest and hundreds of mountain lakes to explore, camps in this scenic region provide activities such as mountaineering, rafting, fishing as well as wilderness camping excursions. Maine’s largest, northernmost region, Aroostook County, contains more than 2,000 streams, ponds and lakes, making it the perfect setting for a summer camp. The County is also home to the 3.5 undeveloped acres known as the North Maine Woods and the 92-mile-long chain of rivers, ponds and lakes known as the Allagash Wilderness Waterway. Finally, the Downeast and Acadia region, best known for its dramatic coastline and the stunning Acadia National Park, provides the best of both worlds. Camps in this northeastern region offer both water and land activities, including classes in topics like oceanography, culinary arts or robotics. Some Maine camps are designed for youth with special needs. Such camps, like the one operated by the Pine Tree Society, allow children with physical or developmental disabilities to enjoy the Maine outdoors. As of 2012, a two-week camp in western Maine through Outward Bound started at $2,695, while a two-month stay at the mid-coast’s Camp Vega starts at $10,600, with additional fees for activities like figure skating or horse-riding. Maine weather can be unpredictable, so pack warm and rain-protective clothing along with shorts and t-shirts. Some camps require certain clothing, so check before you go. Don’t forget insect repellent, sunscreen and waterproof shoes, too. 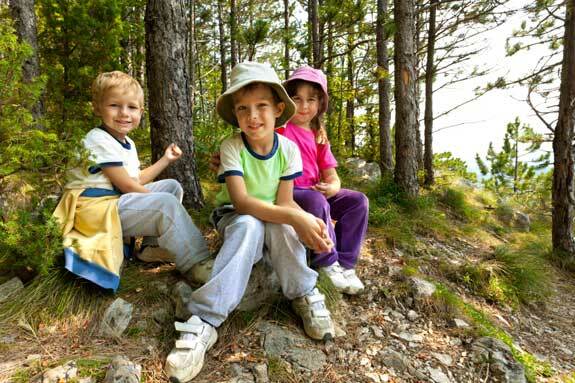 No matter which camp you choose, your kids are bound to enjoy a summer spent in the Maine outdoors. Click here to view the Maine Summer camp directory.